This contract will ensure Tribal organizations claiming affiliation of lands and traditional cultural properties in the project area will have the opportunity to comment and consult on the effect of the project. 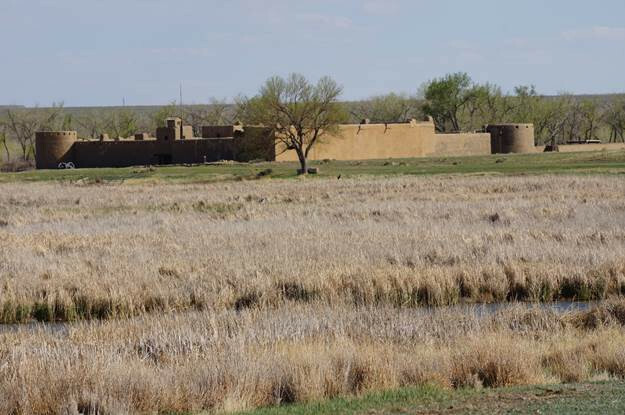 Implementation of the National Historic Preservation Act Section 106 Programmatic Agreement for the project requires Reclamation to utilize independent project management to provide objective and non-partisan communication and coordination with signatories, concurring parties, and other consulting Indian Tribes. 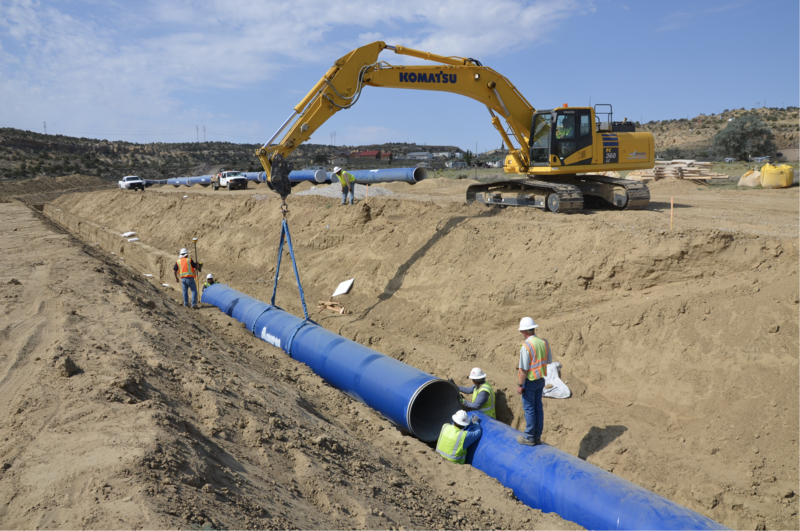 Reclamation is currently constructing the Navajo-Gallup Water Supply Project, located in northwest New Mexico. When completed, it will provide a reliable potable water supply for communities in the eastern portion of the Navajo Nation, the southwest portion of the Jicarilla Apache Nation, and the City of Gallup, New Mexico. 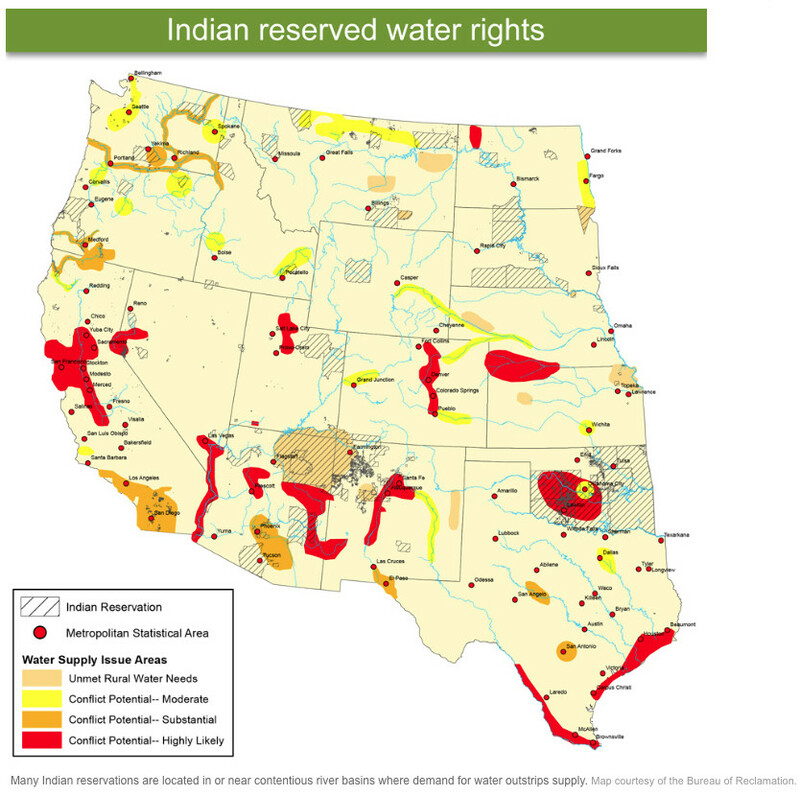 “The court is required to study the tribe, understand its history (and) culture, and make a determination what water is necessary for the tribe to have a permanent and livable homeland,” said Colin Campbell, an attorney representing the tribe. A trial to look at future water uses will start in December 2019. A third trial examining ranch lands to the south of the Hopi Reservation will start in 2020 at the earliest. The Hopi reservation is spread across three mesas in northeastern Arizona and circled by the much larger Navajo Nation. These proceedings are part of the General Stream Adjudication process that’s been going for decades. On a parallel track are possible settlement talks between the Hopi Tribe, the Navajo Nation and the federal government. Negotiations have started and stopped over the years. Campbell said that in the last month, the federal Indian Water Rights Office started exploring a new attempt at a settlement. The Colorado water year, which ends Oct. 31, looks to be the fourth driest on record since the state began tracking water supplies 123 years ago. Southwest Colorado is expected to set a record for the lowest precipitation and driest water year on record, according to water officials who met Tuesday to review the state’s water supplies. Statewide, 2018 looks to be about the fourth driest, behind 1934, 2002 and 2012, with precipitation (rain and snow) about 4.55 inches below the statewide average of 16.67 inches. The [Water Availability Task Force] meets monthly to review precipitation and water levels at about 80 reservoirs scattered throughout the state. The review covers a water year – Nov. 1 to Oct. 31. It has not been a good water year for most of Colorado. It started out badly with the warmest November on record, according to Zach Schwalbe of the Colorado Climate Center at Colorado State University. And this water year shapes up to be the third warmest on record, behind 1934 and 2000, at about 3.6 degrees Fahrenheit above the yearly average of 47.1 degrees. Southwest Colorado has been exceptionally warm – a record, according to Schwalbe, – in addition to being exceptionally dry. Delta and Ouray counties alone were 4 degrees warmer than usual in August, Schwalbe said. For example, a precipitation station at Mesa Verde National Park has recorded 7 inches of water this year. The average is about 20, he said. The one bright spot has been northeastern Colorado, which has received above-average precipitation over the past two months, although it came with a fair amount of hail that caused considerable damage to farm crops in the region. One task force member from the area said his rain gauge was dented from baseball-sized hail, something he said has never happened before. Schwalbe also spoke about hopes for an El Niño year, which would bring above-average moisture through the winter months. Experts predict about a 70 percent chance of a “moderate” El Niño year, but it won’t help all of Colorado. Forecast maps show northeastern and southeastern Colorado likely to see the most benefit. At the same time, however, Schwalbe said that the National Oceanic and Atmospheric Administration predicts the next three months will be above average in temperatures. Colorado’s reservoirs have taken major hits during the summer, with higher than normal water demands, according to municipal water officials. Thornton is expected to join the list of Front Range communities with voluntary water restrictions, an action that is expected to be approved this week by the City Council, according to John Orr of Thornton. Those restrictions, which would limit lawn-watering to three days a week, could become mandatory next month, he said. Colorado Springs already has voluntary water restrictions in place, said Justin Zeisler of Colorado Springs Utilities. Demand on reservoir storage to cover agricultural, municipal and recreational water needs has drawn down water levels almost everywhere in the state. Brian Domonkos, a hydrologist with the USDA’s Natural Resources Conservation Service, reported that statewide, Colorado’s reservoir levels are at 82 percent of average and at about 50 percent full. Compare that with 2017 – at this same time last year, levels were at 120 percent of average. 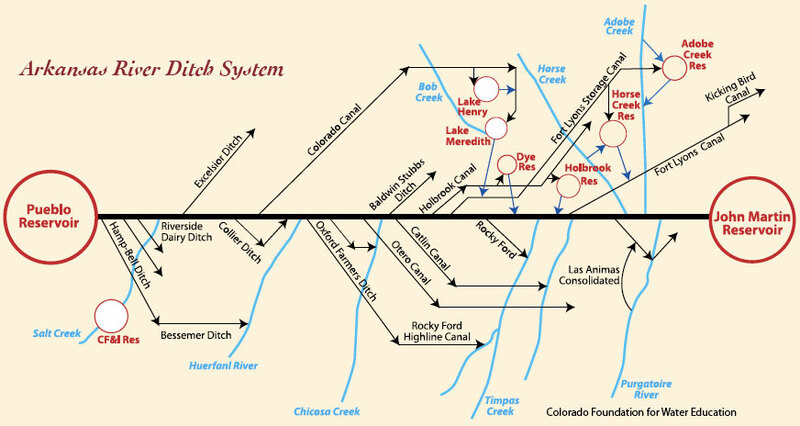 The South Platte River basin, which has 32 of the state’s 80 reservoirs, is at 105 percent of average; 19 reservoirs are above 50 percent full and only one – Elevenmile – is listed at being at capacity, or full. 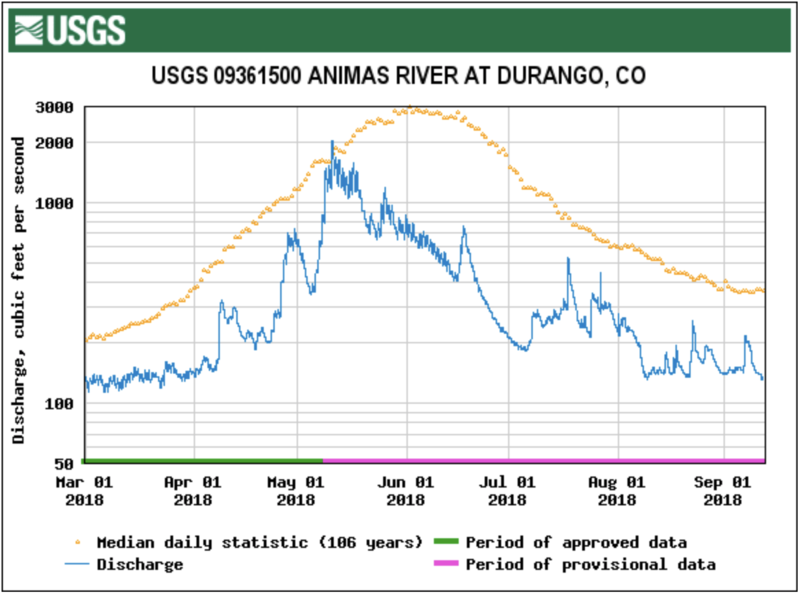 The Arkansas River basin, which covers southeastern Colorado, is also in good shape, because of above average rainfall in August. The reservoirs tied to the San Miguel, Dolores, Animas and San Juan rivers are dramatically low. 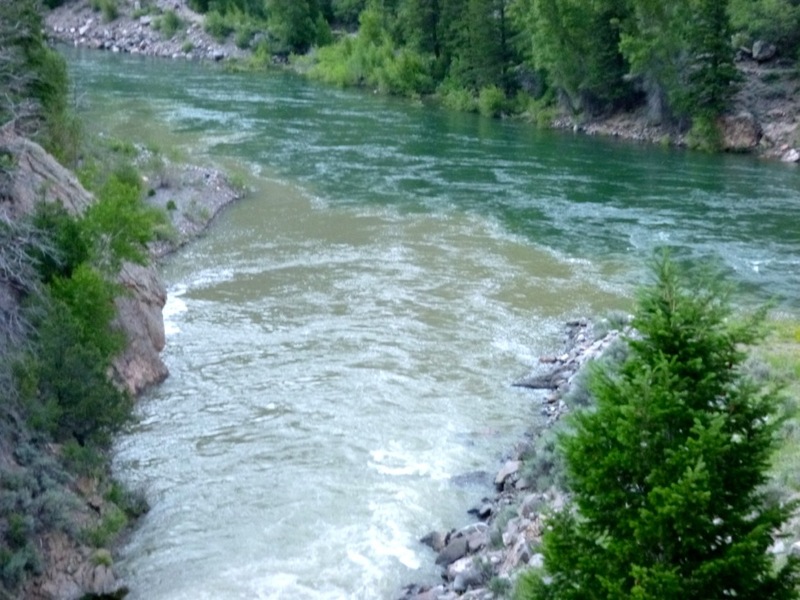 The same story is repeated in the Gunnison River basin, where Blue Mesa reservoir, the second largest in the state, is at 39 percent of capacity. Domonkos said the Gunnison basin has seen record low precipitation this year, but received above average rainfall in the first 10 days of September. If you are so inclined click here to view Coyote Gulch’s Twitter feed hash tag #cwcbwatf from the meeting yesterday.